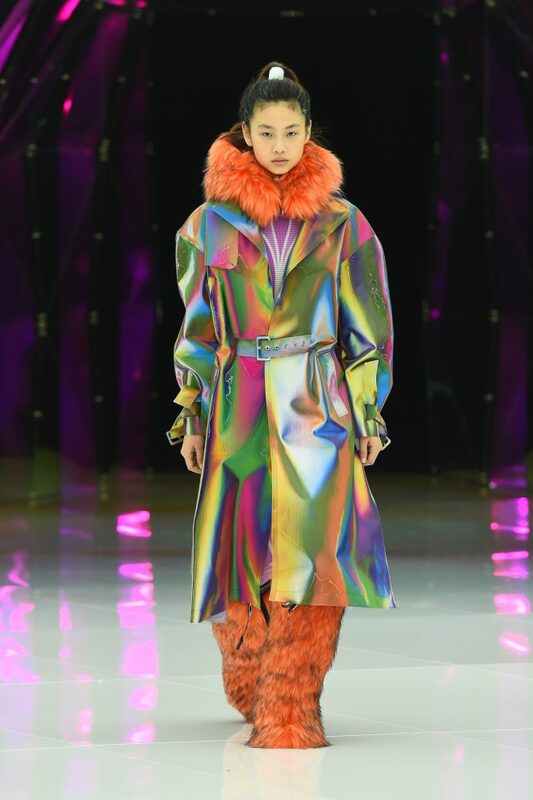 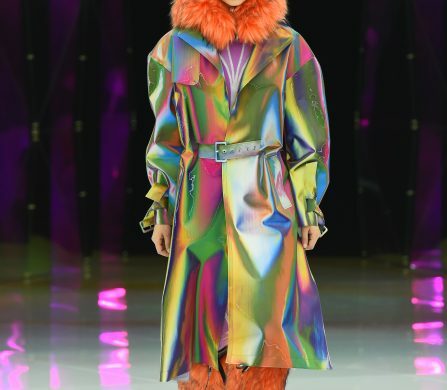 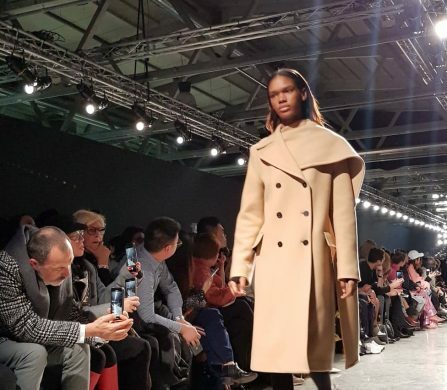 Milan Fashion Week ended today, so this calls for the highlights from the season. 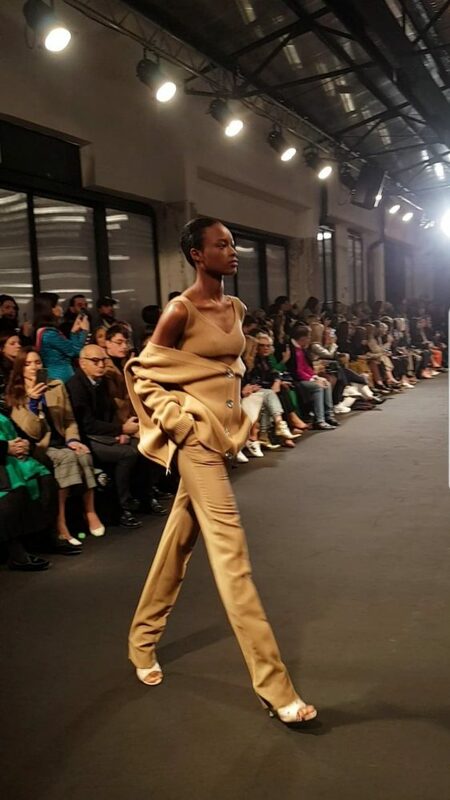 First up is La Perla. 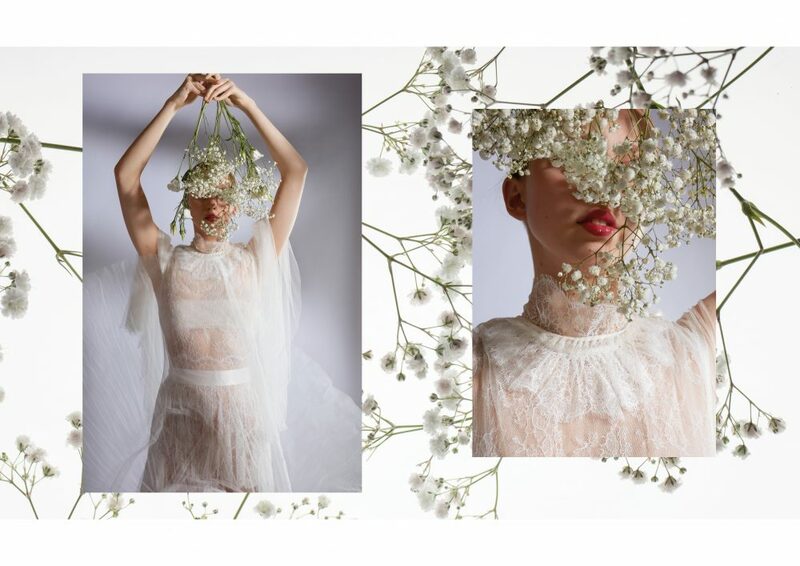 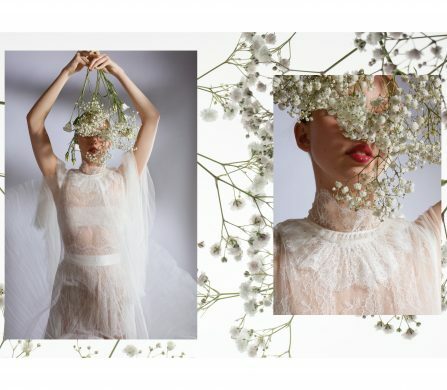 During AW19, the brand debuted its made-to-measure bridal collection, which consists of 18 pieces using the brand’s signature fabrics such as lavish silk, gilded lace and diaphanous tulle. 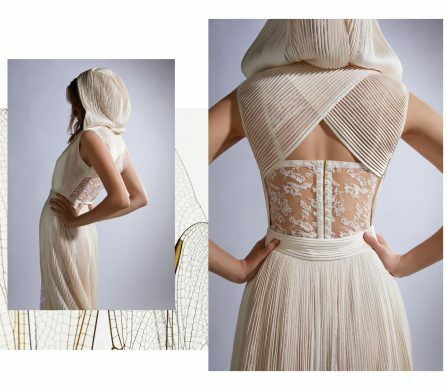 Brides to be: if you are looking for the highest expression of luxury craftsmanship and tailoring, now you know where to find it. 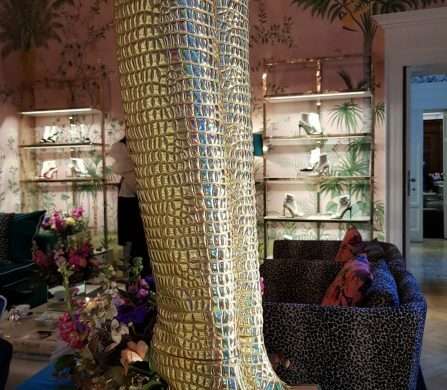 On a more subjective note, hands up for Manuel Facchini at Byblos for his sustainable approach. 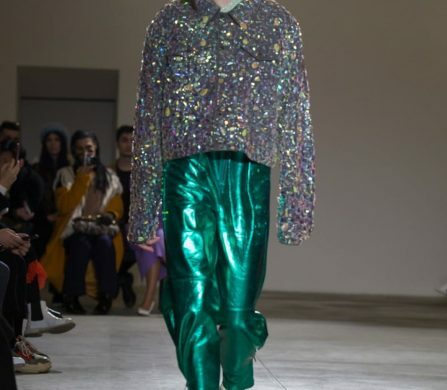 Plastic from recycled bottles, eco-friendly pearls, recycled nylon, all put together in a collection inspired by uncontaminated polar regions and the flamboyant colours of aurora borealis. 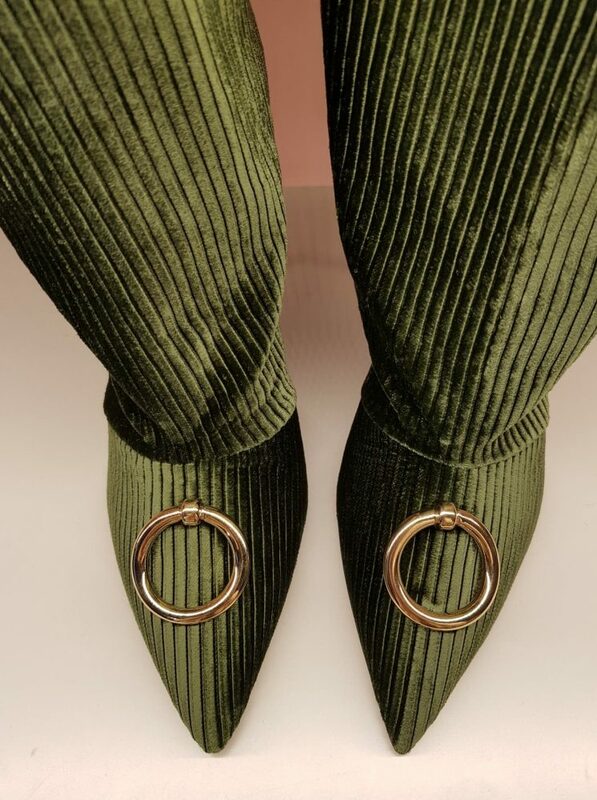 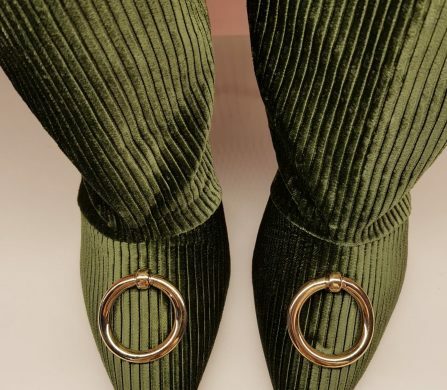 Eye-catching prints, eco-furry booties and cosy puffers all bringing awareness to global warming, proving you can steal the spotlight while helping to save the planet. 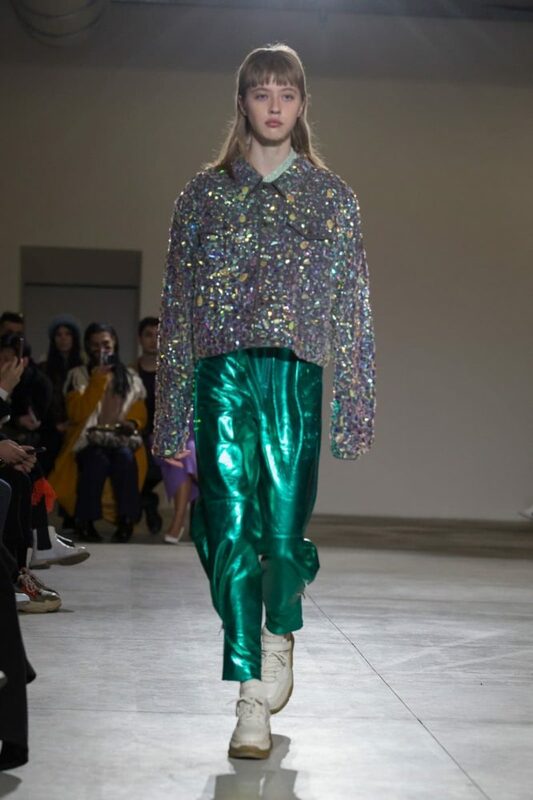 Annakiki is exploring new frontiers of femininity in a never-ending material experiment, like flounces on vinyl or denim covered with mirrored droplets. 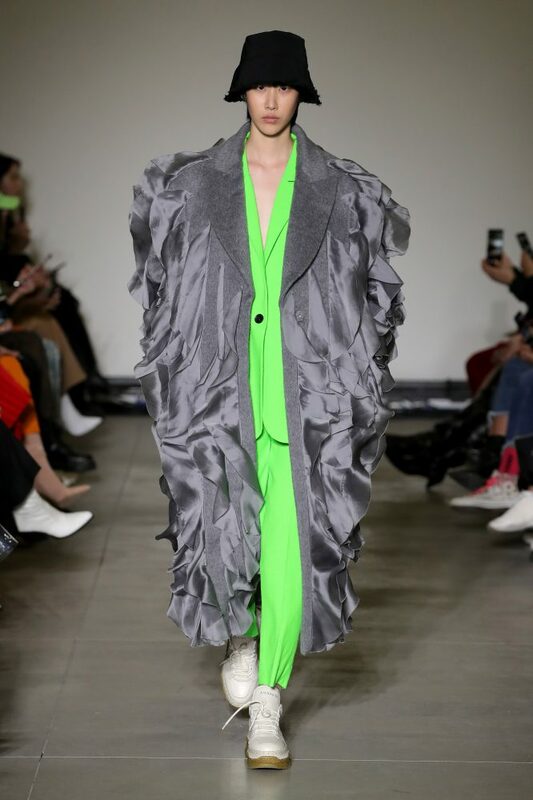 They’re also making bold decisions when it comes to colour choices, which range from fire-red to fluorescent green or from ash grey to orange and even purple. 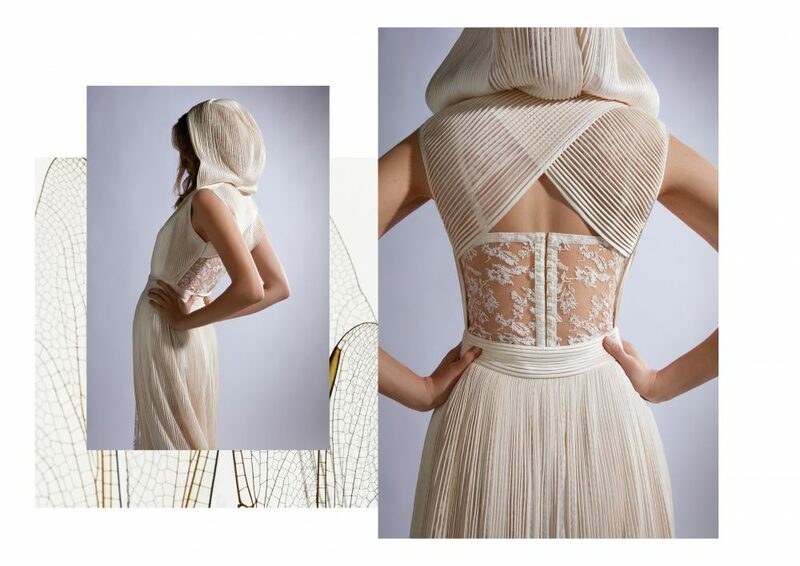 Asymmetry, contrasts between lines, decisive cuts – they all share the same message of spontaneous beauty. 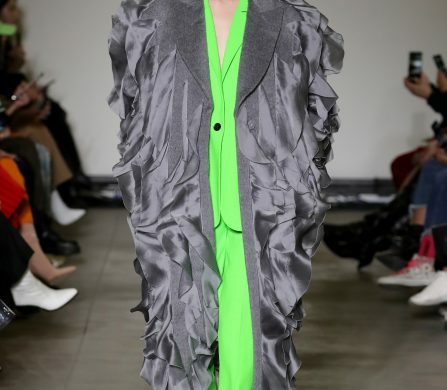 Alessandro Dell’Acqua provokes us to dare more, yet stay safe. 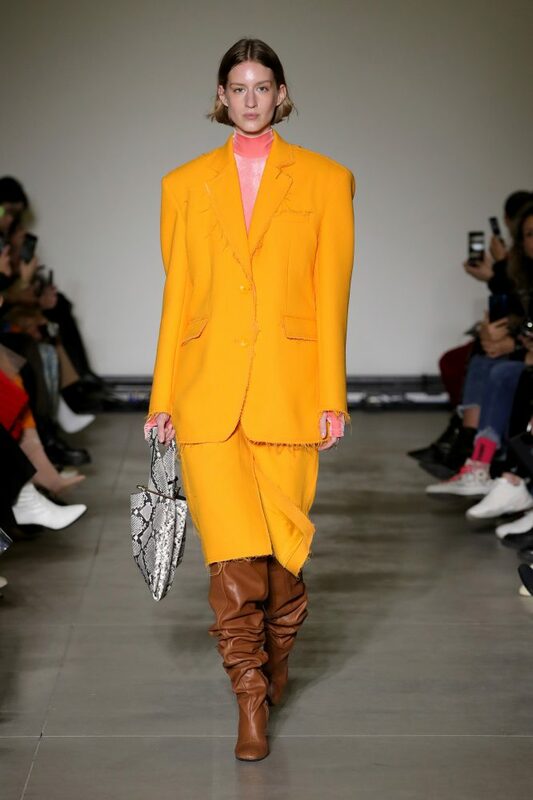 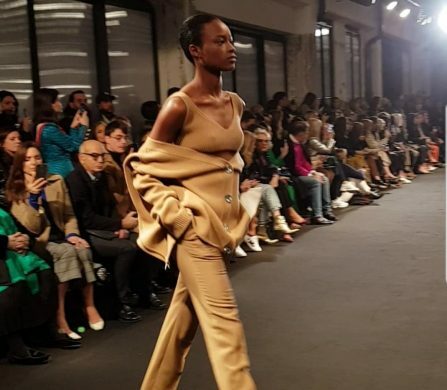 Strong yet feminine, N21’s autumn-winter collection shows us unzipped dresses, unbuttoned sweaters and bare-skin backs — for women with “important personalities, able to lead the game,” says Dell’Acqua. 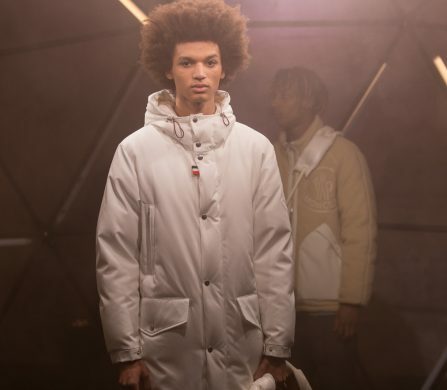 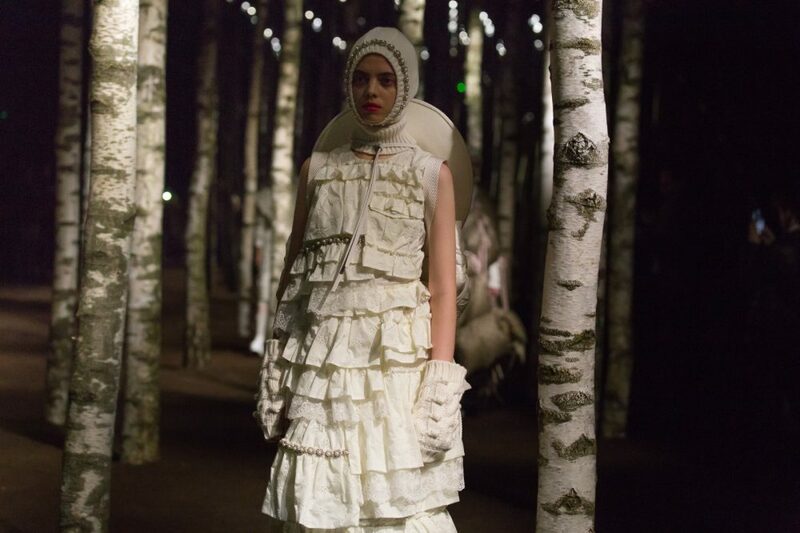 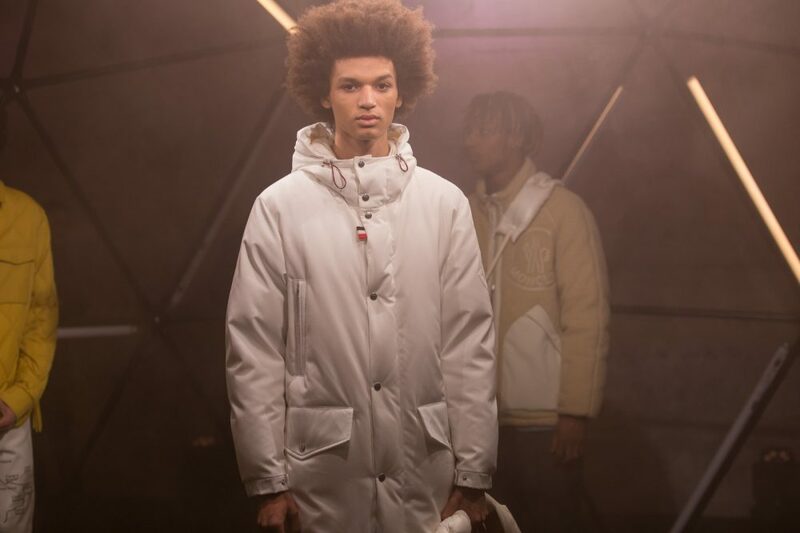 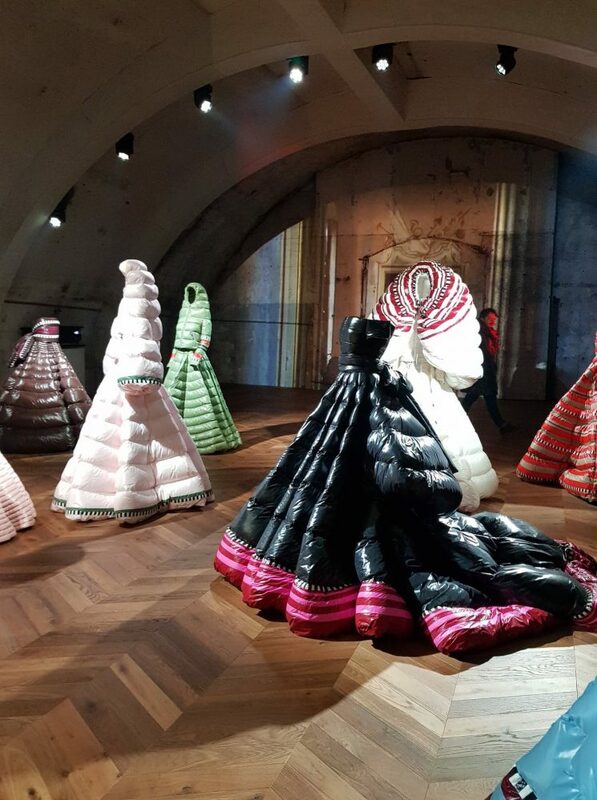 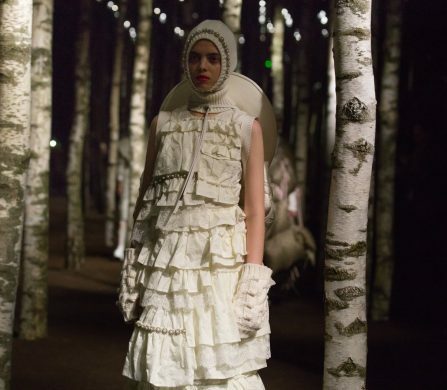 Probably the most unique event of this week was aptly named “genius”: Moncler Genius. 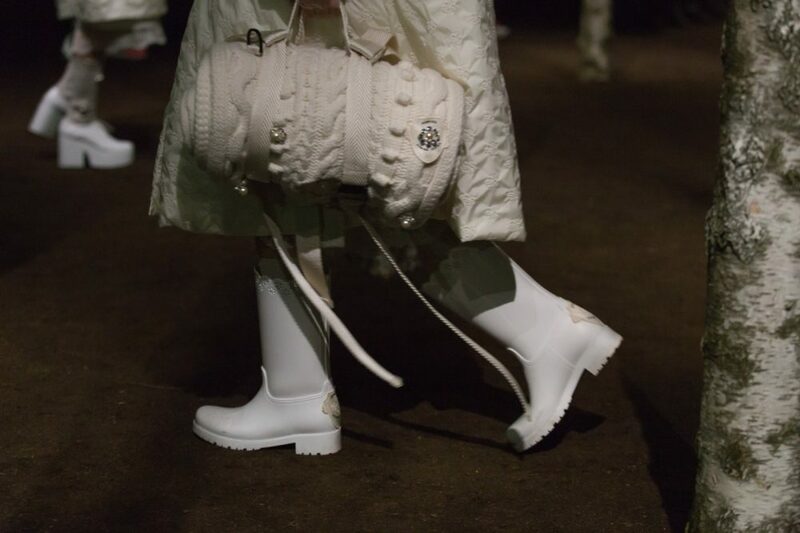 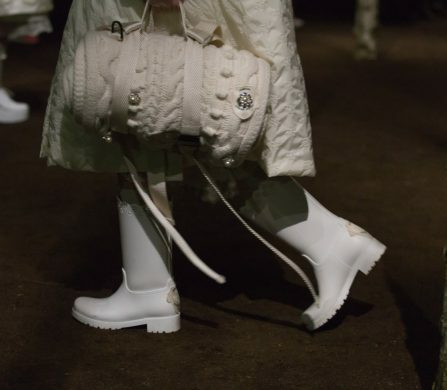 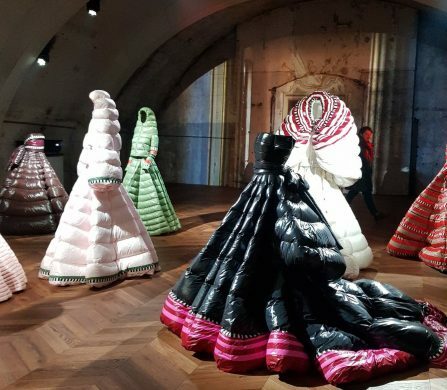 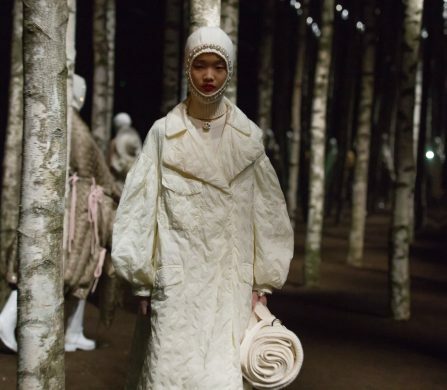 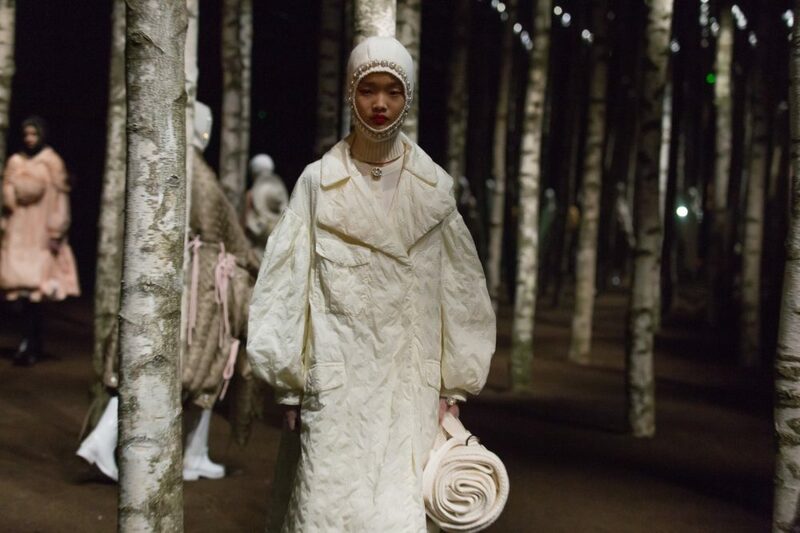 The collections included masterpieces created by: Pierpaolo Piccioli & Liya Kebede, Sergio Zambon & Veronica Leoni for 2 Moncler 1952, Sandro Mandrino for 3 Moncler Grenoble, Simone Rocha, Craig Green, Matthew Williams of 1017 ALYX 9SM, Richard Quinn, Fragment Design’s Hiroshi Fujiwara, Palm Angels’ Francesco Ragazzi and Poldo Dog Couture. 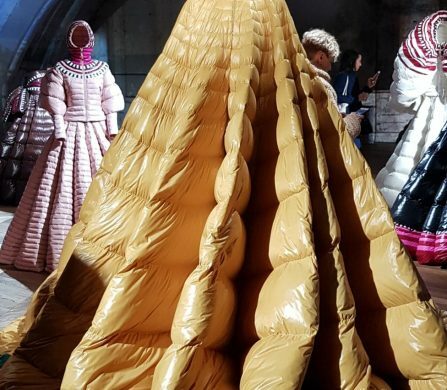 The identity of Moncler Genius was formed by each of the Geniuses operating singularly, who together managed to create energy stemming from a mix of different cultures. 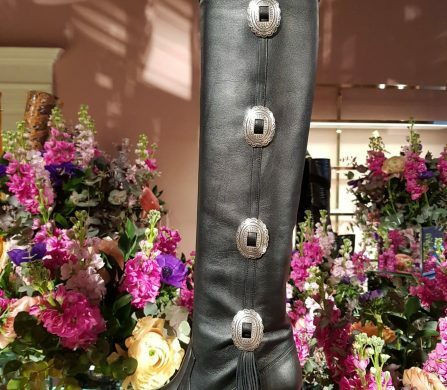 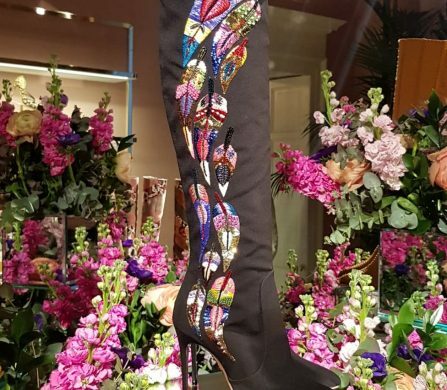 For all the travellers out there, Edgardo Osorio from Aquazzura made sure you are never out of options from morning till dawn, no matter if you are at a festival or heading up to a fancy dinner. 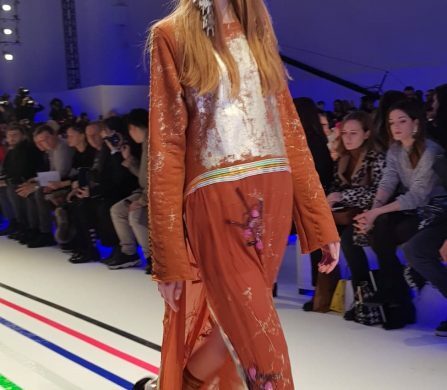 Inspired by Kate Moss’s attitude in the 90’s and Talitha Getty’s boho vibe, a diverse colour palette recreated safari hues with neutral tones. 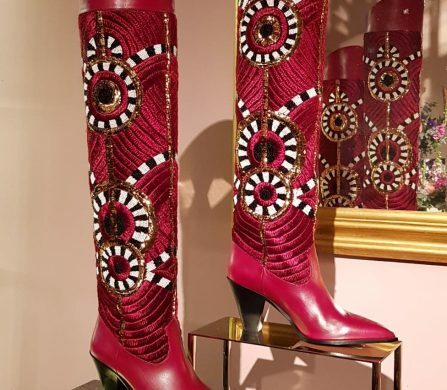 Edgardo wants the Aquazzura girl to always have fun. 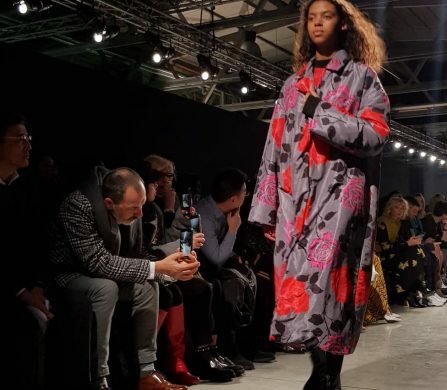 Speaking of travellers, Anteprima also made sure you can be comfortable while travelling, finding her inspiration while on a trip to London. 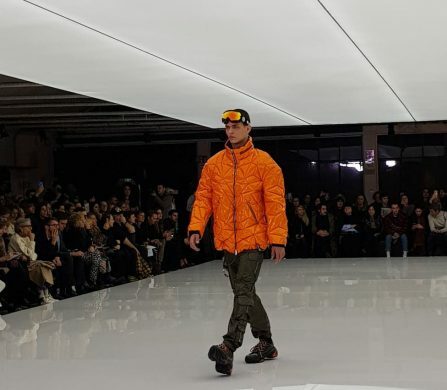 Big fan of the contrasts, Anteprima combines sport with elegant items, soft with hard materials; for example, jeans with silk or crocodile print on orange. 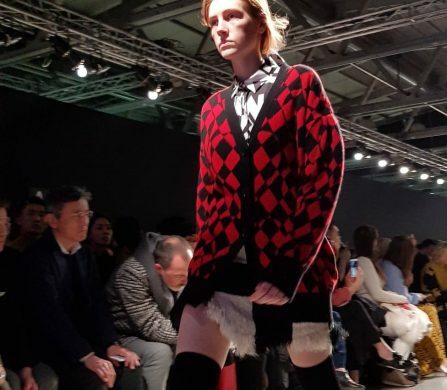 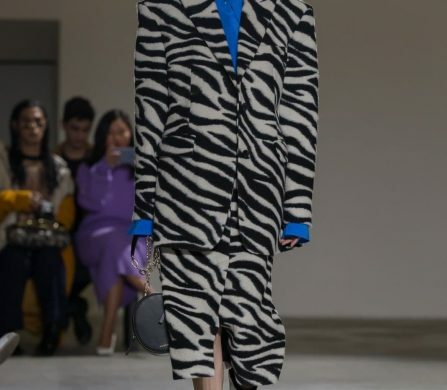 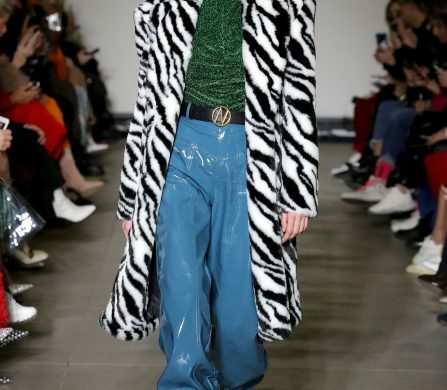 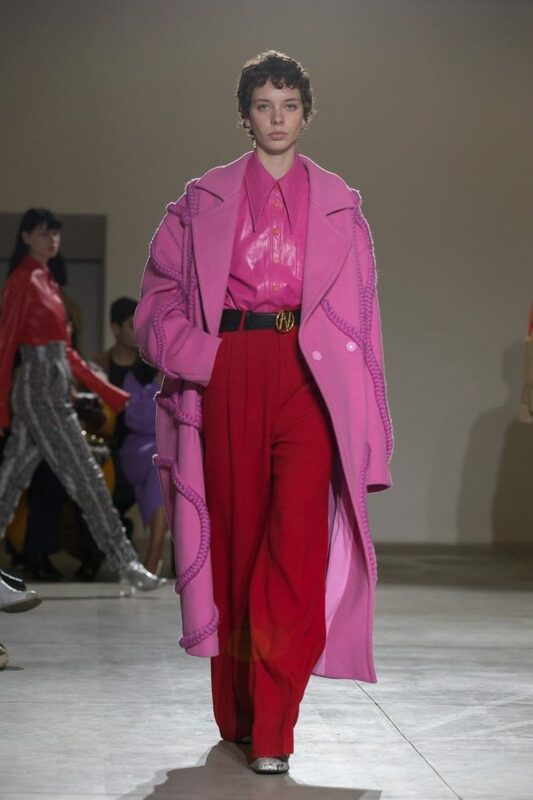 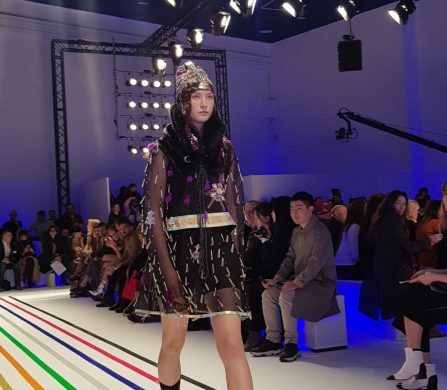 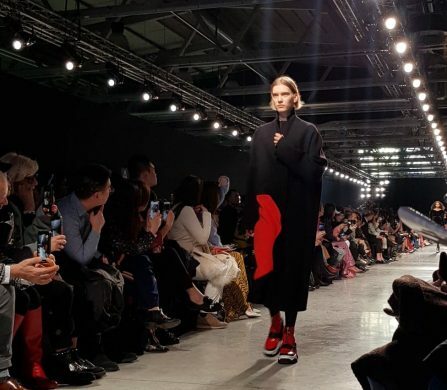 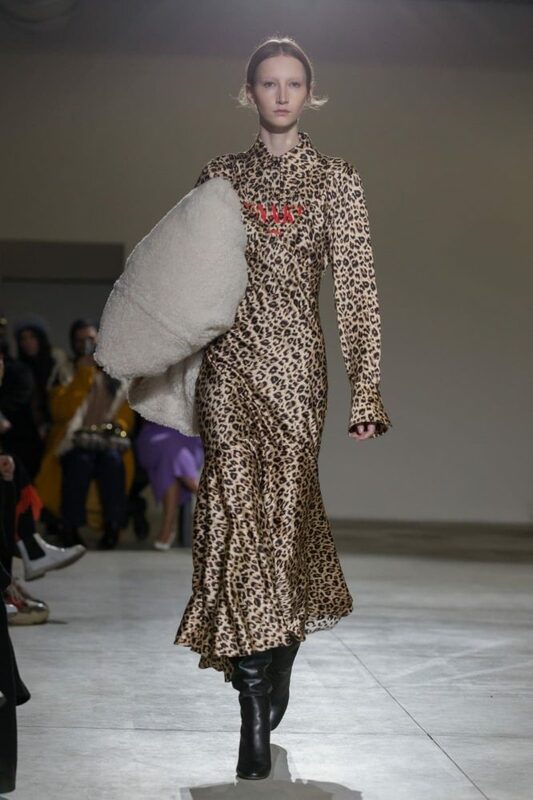 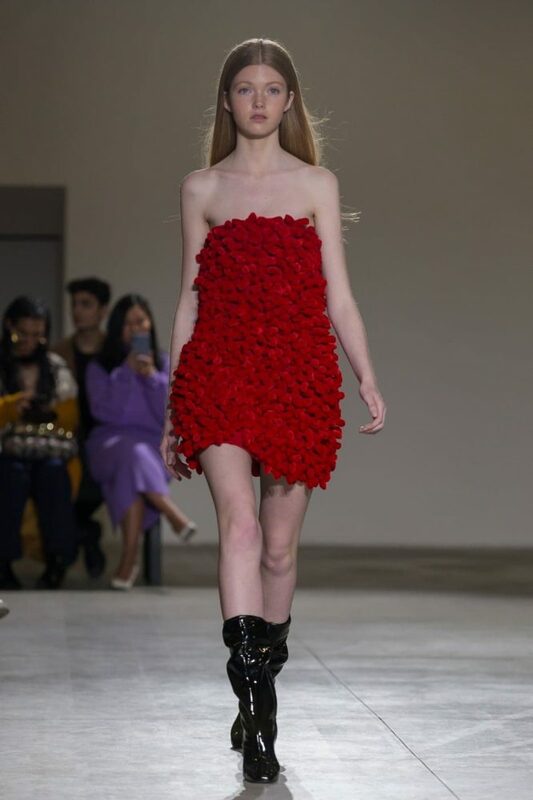 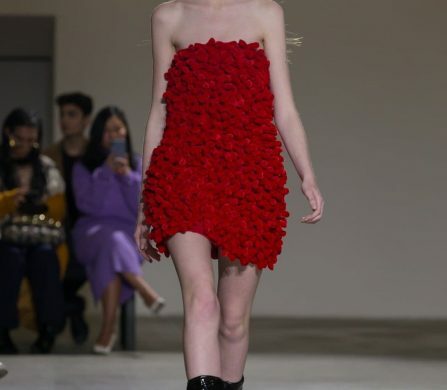 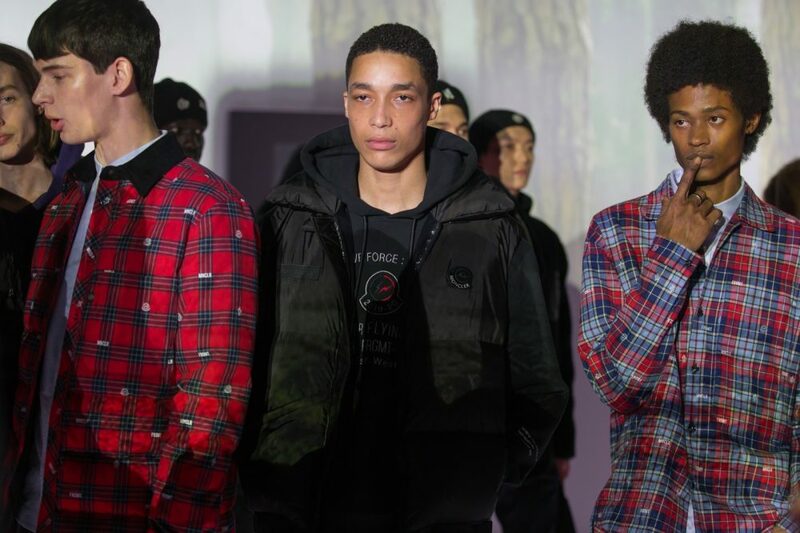 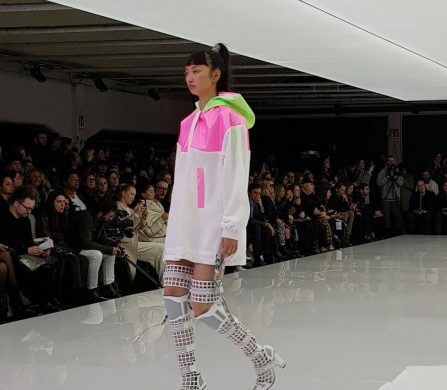 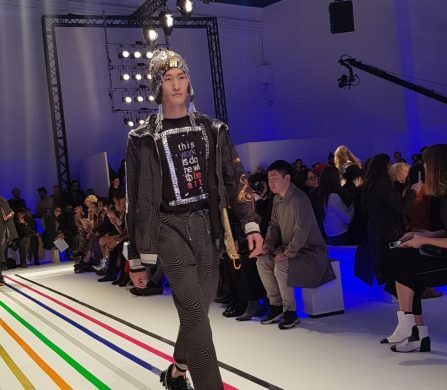 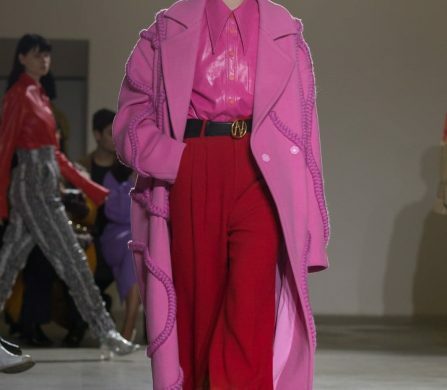 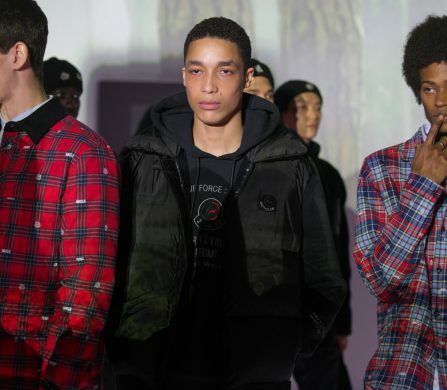 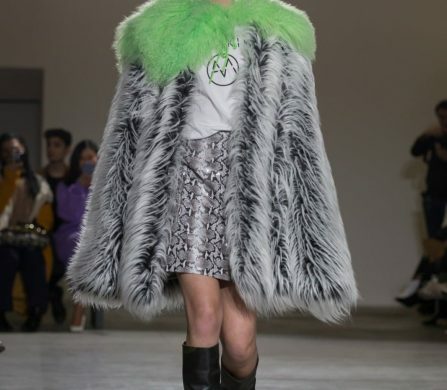 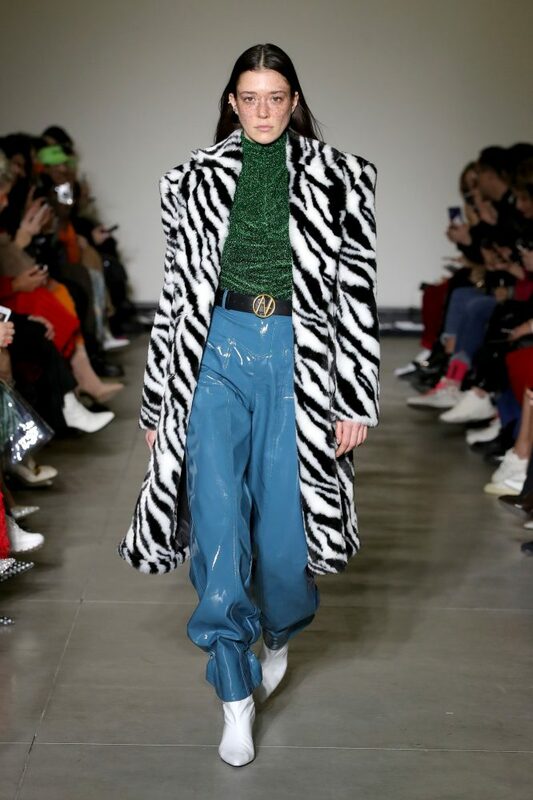 On the same note, taking inspiration from cities, Massimo Giorgetti at Msgm thought “it was love, but actually it was Milano.” Not sure if it’s a mix of the streets of Milan during the ’80s, Alice in Wonderland in 2019 or a simple day in Milan, this collection reflects the Msgm DNA: graphics, black and white, red and black, pink and neon print, created for a self-confident, smart woman who loves fashion but is still independent of fashion. 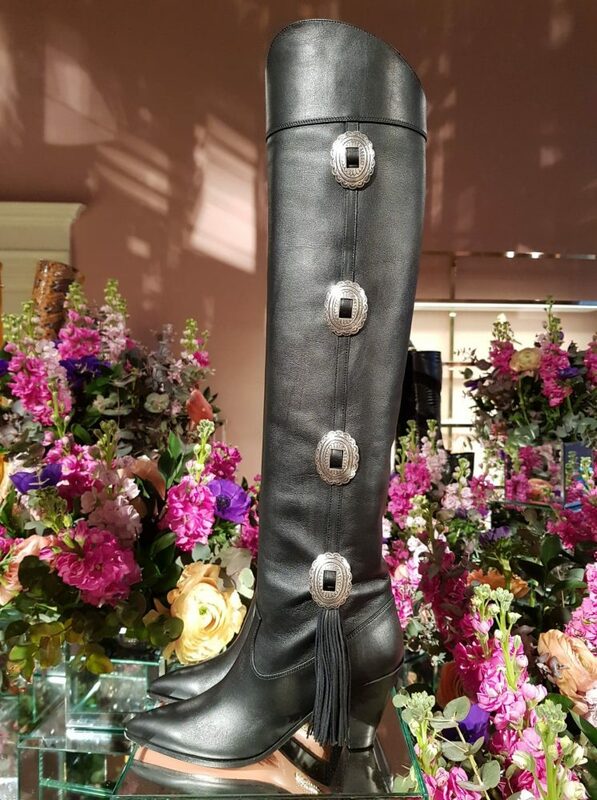 On another personal note, they get a star from me for the eco-leather. 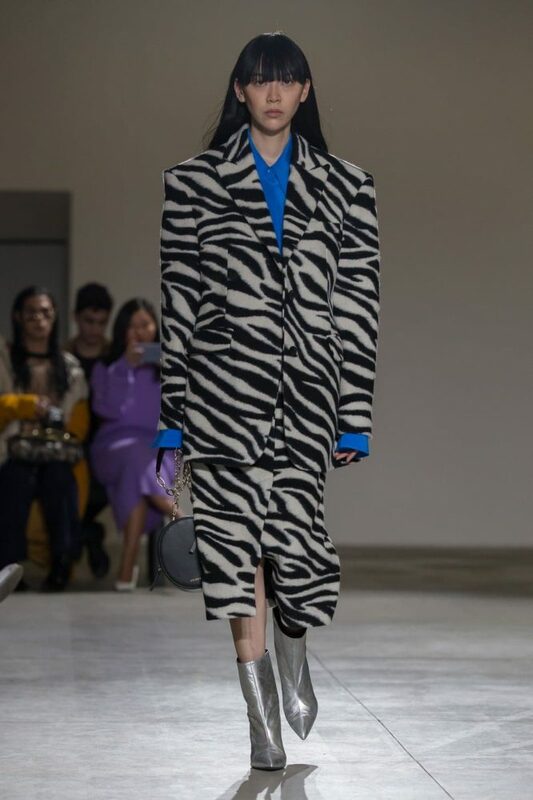 Au197sm contained all the elements of their concept – strong, contemporary, glamorous, futuristic, avant-garde but with a basic sense of concreteness. 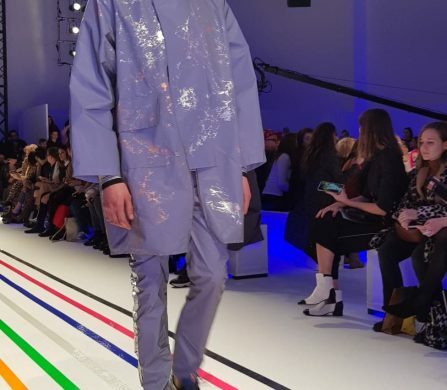 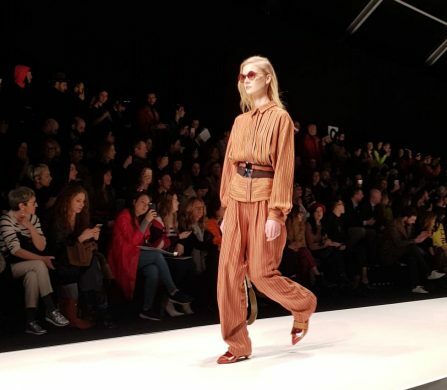 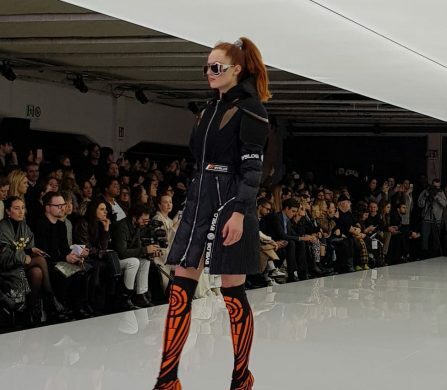 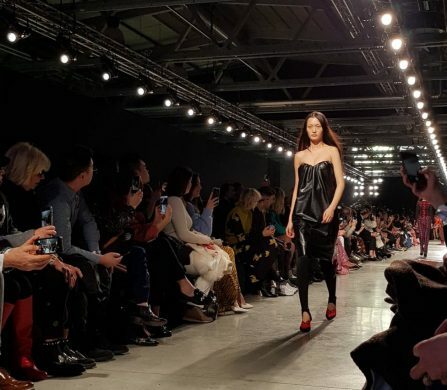 Mixing of media was seen often at the shows in Milan, Paola Emilia and Stefano Maccagnani brought together technology mixed up with handmade pieces. 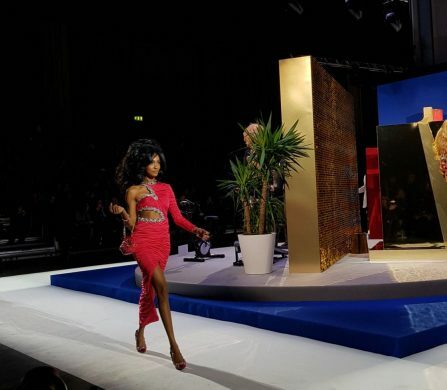 A touch of luxury, formed by the unique patent application of gold and precious materials worn by soldiers as models rocked the stage to live music. 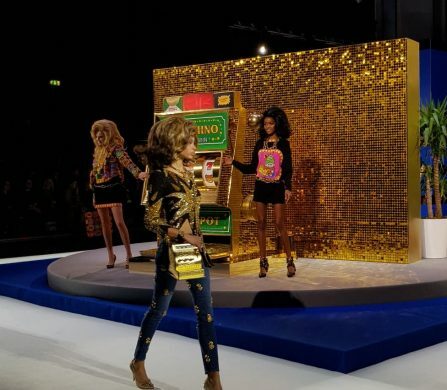 Speaking of rocking the stage, we can’t go on without mentioning the Moschino show, which transformed its catwalk into an incredible TV game. 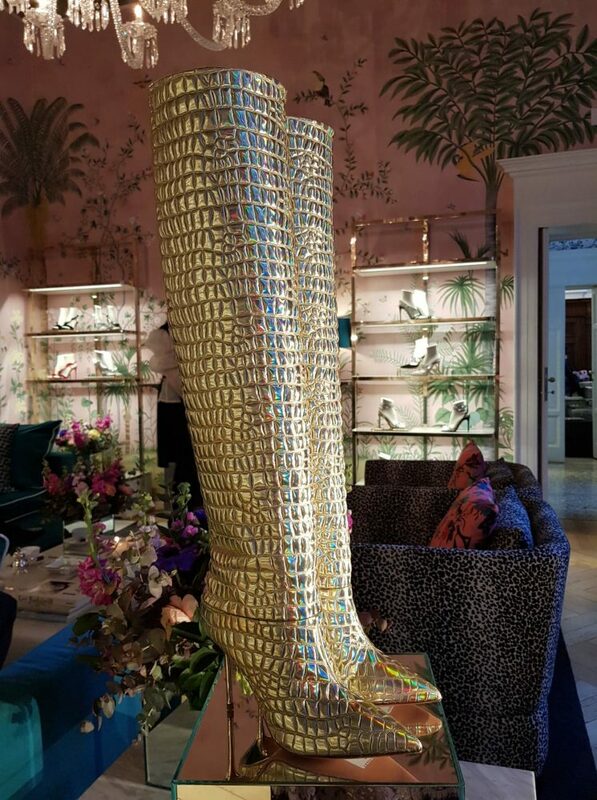 Toothpaste tubes, good luck trolls prints, million dollar banknote prints, slot symbols… what could be missing from this scene? 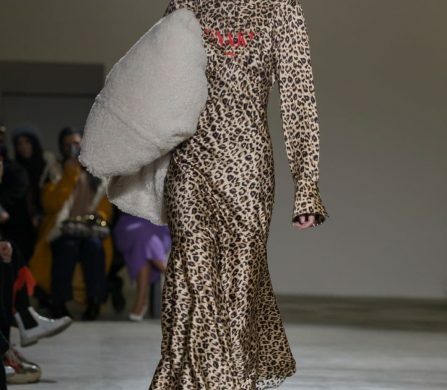 Bouffant-haired models reinterpreting glamorous TV hosts invited guests to guess the prices of basically all the décor items used on-stage. 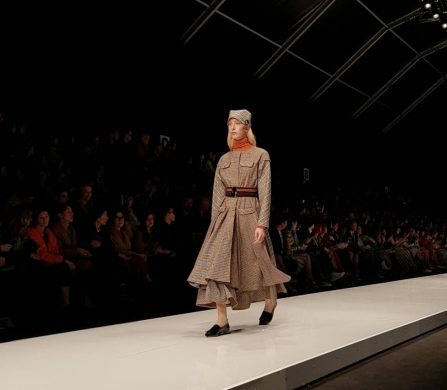 From notorious to emergent designers, I found some real talents at the Camera della Moda fashion hub. 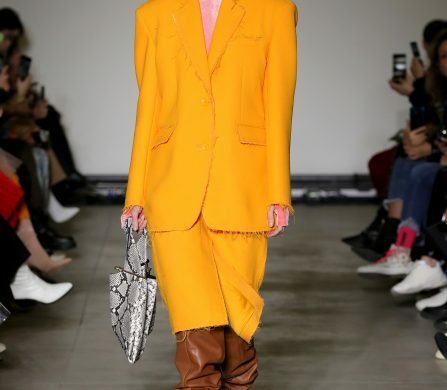 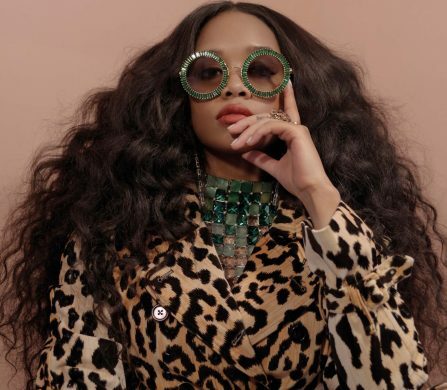 Alex Storm, Rowen Rose, Angelia Ami and Federico Cina are some of the brands you should follow. 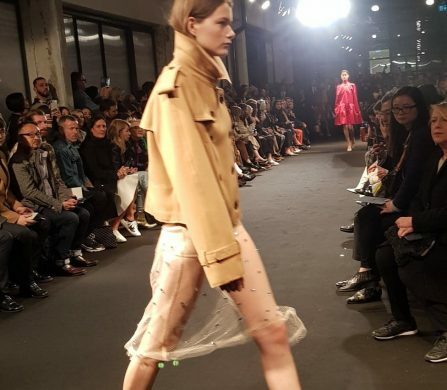 This is how #MFW ends, but the fashion week journey continues. 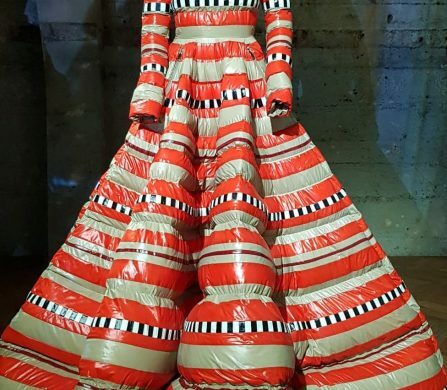 I will keep you posted from Paris.